German Economy and Energy Minister Peter Altmaier has not ruled out a new arms race in the event of the termination the Intermediate-Range Nuclear Forces (INF) Treaty between Russia and the US. In an interview with the Germany's Welt am Sonntag newspaper, he expressed hope that "at the end of the day, Russians and Americans would arrive at a consensus" on the agreement but added that it would be "wrong to rule out the idea of re-armament from the very beginning – something that would weaken our negotiating position". According to Altmaier, if Europeans and Americans show their determination and ability to act, only then will Moscow be ready to consider the West's concerns. He argued that if the sides ultimately want real disarmament, they should not "categorically rule out any options in advance". Earlier this week, Russian Foreign Minister Sergei Lavrov said that Moscow possesses all military-technical means to react to the threat of the US' looming withdrawal from the historic Cold War-era treaty. Shortly after the US suspended its participation in the INF Treaty on February 1 and began the process of withdrawing from the accord, which is due to be completed in six months, Russian President Vladimir Putin said that Moscow was also suspending its obligations under the INF Treaty in response to Washington's move. 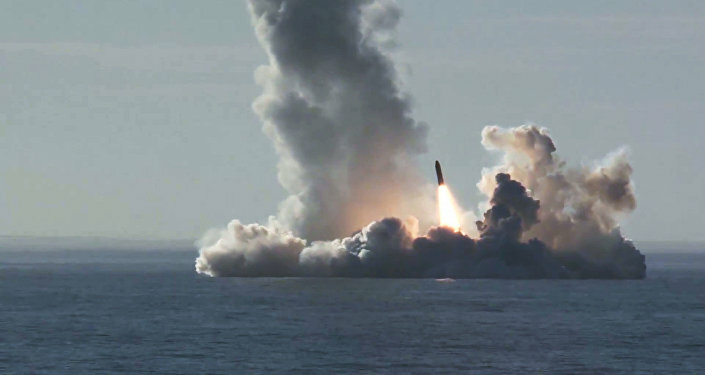 The US has repeatedly accused Russia of violating the 1987 INF Treaty by testing the M9729 missile, while Moscow, in turn, has denied the claims, accusing Washington of simply using the case to leave the accord under false pretences.